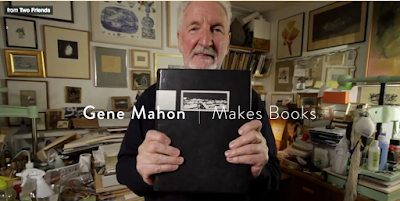 Gene Mahon|Makes Books is a wonderful short film. Gene Mahon speaks softly and eloquently about the power and beauty of books in their physical form as he shares his work. A beautiful way to spend 4 minutes and 2 seconds. Scroll down to find this on the Two Friends website. what a beautiful gentle man who makes good books!